The Maltby family of Cambridge was a prominent and dispersed group in the late 19th and early 20th centuries, one member even becoming the Mayor of Cambridge. My grandfather, George Mason Maltby, was born into the Norfolk Street branch of the family in 1899. His father Samuel was a robe maker and family anecdotes suggest that he was involved in the making of the Coronation robes for Edward VII. There were six sons in the Norfolk Street Maltbys, but by 1901 only five were still living at number 41, including Frank born in 1896, and George, the youngest. Frank’s cousin Samuel Richard David Maltby was also transferred to the same unit on 30th August 1916 as Private 5212, A Company No 2 Platoon. 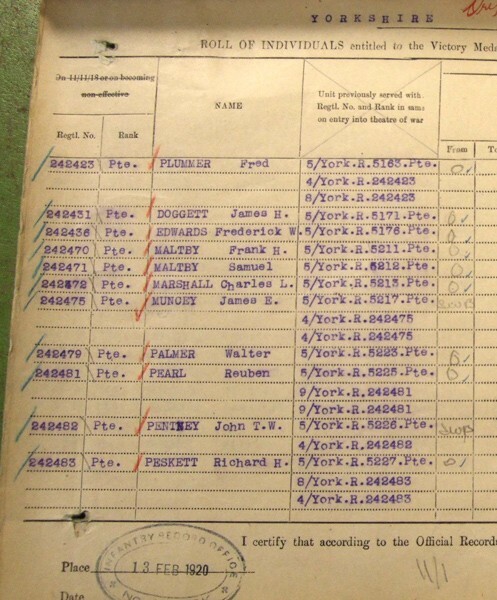 Fortunately Samuel’s army service record is intact and available on-line. It shows that he enlisted in the Territorials on 1st January1914. Samuel was born in 1894 and lived in Barton Road, Cambridge employed by the local brick company as a labourer. 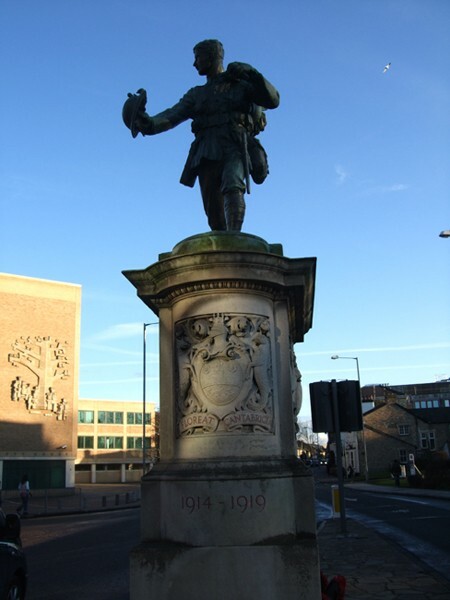 Having joined the territorials he was embodied - called up - on 5th August 1914 as Private 1694, Ist Battalion, Cambridgeshire Regiment but did not volunteer for immediate overseas service so was transferred to the 2/1 Battalion. Like his cousin Frank, Samuel spent two years in a variety of training establishments before being posted on 30th August 1916 to the Yorkshire Regiment, The Green Howards. 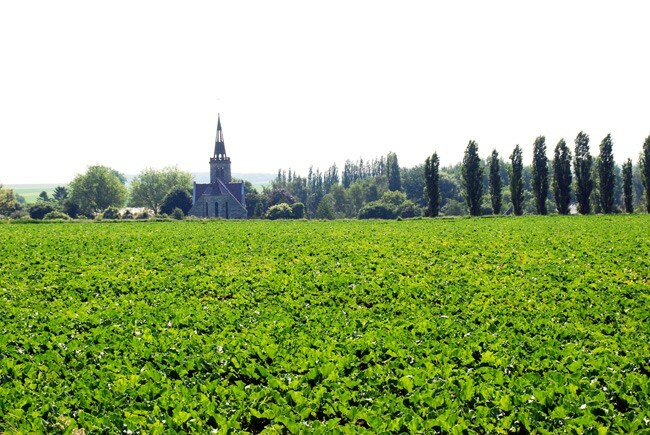 In August 1916, either intentionally or by the luck of the draw, the Maltby cousins Frank and Samuel and other men from Cambridgeshire found themselves in the 5th Green Howards which had just been moved down from the Ypres salient to the Somme in preparation for the next phase of that battle. The 150th Infantry Brigade’s objectives were trenches along the high ground East and Southeast of Martinpuich, with High Wood still occupied by the Germans. (Map ref J 7) The preliminary bombardment commenced on 12th September and lasted for three days so that the Germans had to remain underground to avoid being blown away. The attack on the 15th September was the 50th Division’s first engagement in a set battle that became known as Flers - Courcelette. This was the first time that a so-called ‘creeping barrage’ was used to keep the enemy down in their dug-outs and so prevent a repetition of the slaughter of advancing infantry. It was also the first use of the new war weapon ‘the tank.’ The 50th division had only two tanks attached to them and as these metal monsters moved towards Martinpuich at 6.18 am they caused many Germans to run away in fear. 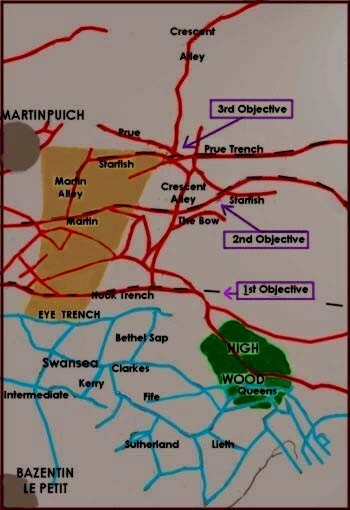 The 4th and 5th Green Howards took the first objective of HOOK trench and under heavy fire from Martinpuich they moved on to the second objective the STARFISH line which was taken at 9.57 am. Whilst the enemy counter attacked, the Yorkshires held their position, greatly assisted by the 47th London Division’s capture of High Wood. 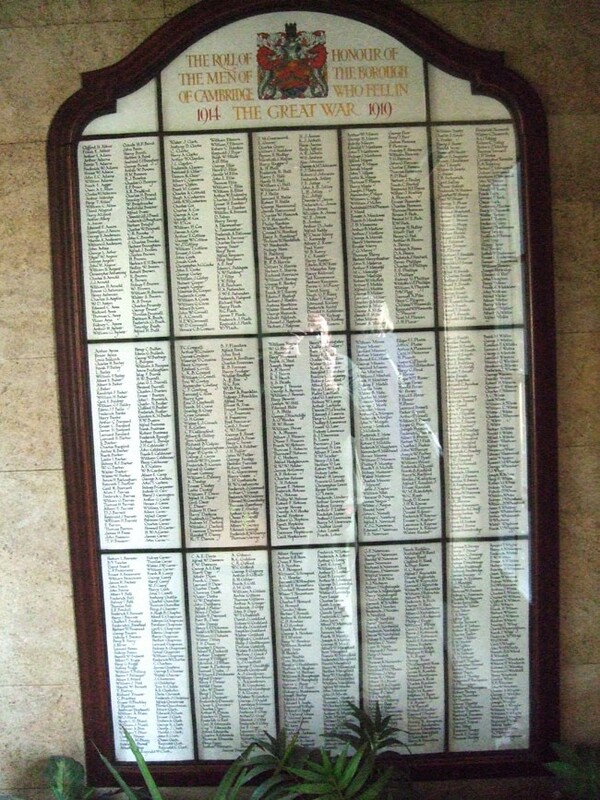 This was at a very high price in losses as can be seen by a visit to the London Cemetery at High Wood. On the 19th September the 150th Brigade was relieved. 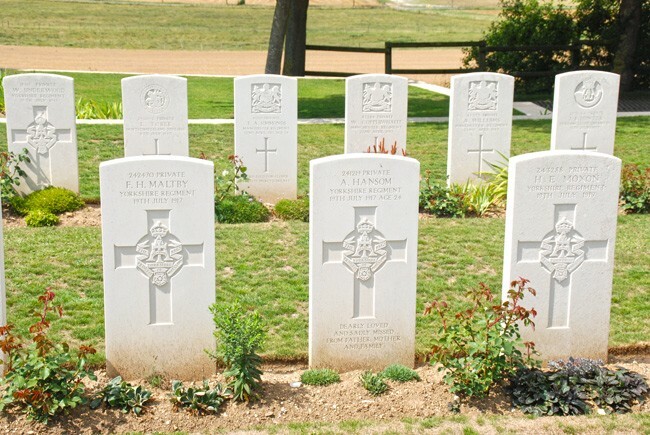 The 5th Battalion alone had suffered 252 casualties, including the death of its commanding officer Lt. Col. Mortimer. He, with several of his men, is now buried in Flat Iron Copse Cemetery on the Somme (Yorkshire Regiment WW1 website by Edward Nicholl). The official despatches made reference to the significant contribution of the 50th Division in the battle. On 25th September the attack was renewed in the battle of Morval designed to push north of Martinpuich. The 5th battalion was back in the STARFISH trench system and on 26th attacked towards Flers (Map ref J 7). This was a night attack and the Battalion got lost but by luck managed to achieve its objective. For the remainder of 1916 Frank and Samuel and the 5th Battalion were moved in and out of the front lines that, due to the bad weather, were now becoming swamp-like. They also provided road-mending working parties, an activity that was far from safe because of the constant shelling of the area. 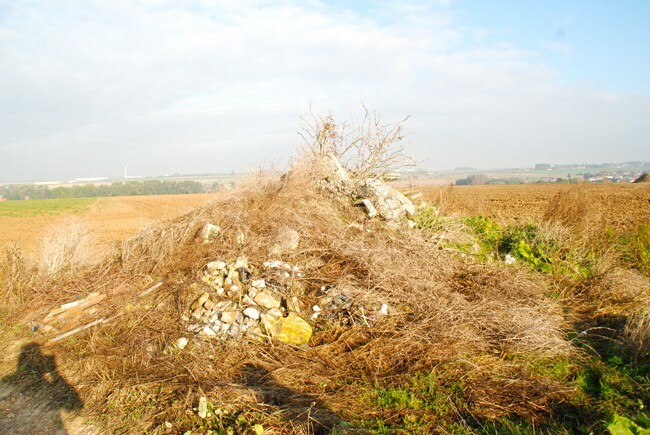 However the 150th Brigade were lucky not to be involved in the final, futile phase of the battle of the Somme, the attack on the Butte de Warlencourt, a nondescript hill which, in October and November, cost the lives of many of the 151st and 149th Brigades of the 50th Division. 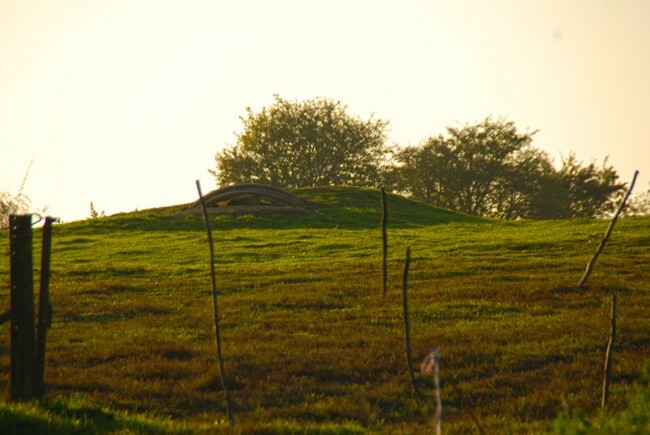 The Butte marked the furthest point of the BEF advance in 1916 and is now owned by the WFA in memory of all who were sacrificed in its capture. 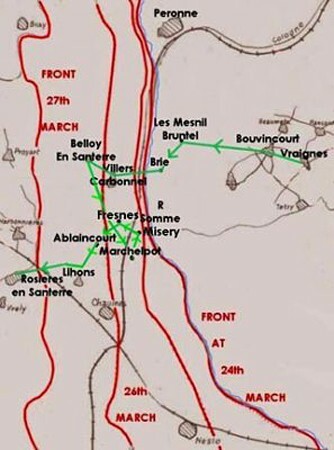 The winter of 1916/17 saw the 5th Battalion going from Becourt camp east of Albert (Map ref J 7) to Millencourt camp (Map ref I 7) and then training in Buire sur Ancre (Map ref I 8) before finally in March 1917 arriving in Mirvaux. (Map ref H 7). The War Diary of any Battalion shows us the amazing distances which the men marched during the war and the 5th Battalion was no exception. By referencing the Michelin Map 301 Local readers can trace the routes for themselves. It is estimated that during WW1, 75000 men went to hospital with the condition ‘trench foot’ which, at worst, resulted in amputations. It is obviously behind the battle zone with winter trees and evidence of snow in the hollows. It is a peaceful scene and somewhere in the midst of all those khaki clad figures are the Maltby cousins - Frank and Samuel. How I wish I could pick them out from the crowd! Are they posing with their A Company chums? What might they be thinking? Are they rested and ready for what was to come? Did they even know what would be next, for it is not clear as to what extent the High Command told the Tommies of future plans. Perhaps it was because ‘careless talk can cost lives’ and certainly much intelligence was gained by raiding each others’ trenches and capturing men and maps. The picture masks the horrors of war but represents the pride that the men had in their Battalion; for this was the core of the BEF and the organisation with which the men most associated themselves. 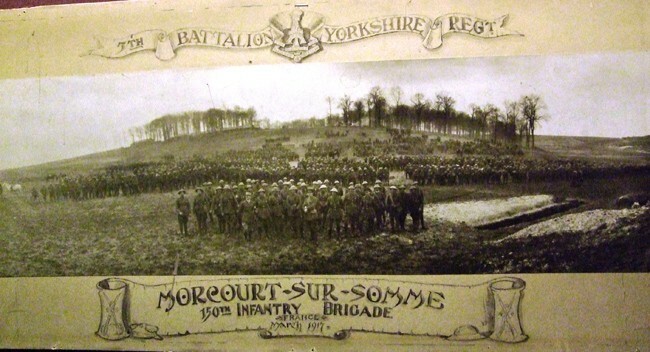 Each Battalion was supposed to be 1000 men, but this was a rare number as this story of the 5th Battalion Yorkshire Regiment (Green Howards) shows. Involvement in major battles and the attrition of trench warfare ground down the numbers so that in some instances during 1918 there were only 200 men still standing. 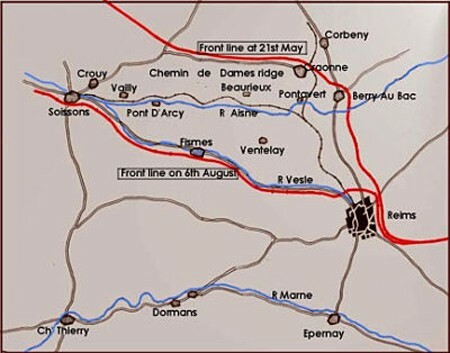 The battle of the Somme had been an attempt to take the pressure off the French at Verdun and to tie down the Germans as well as to dislodge them from the heavily fortified areas like Thiepval. It had been a costly battle as anyone who has visited the area and seen the cemeteries and the Thiepval memorial will have seen. Frank and Samuel Maltby in A Company, no 2 Platoon had seen their fair share of the fighting and the horrors on the Somme but had come through 1916 unscathed physically. 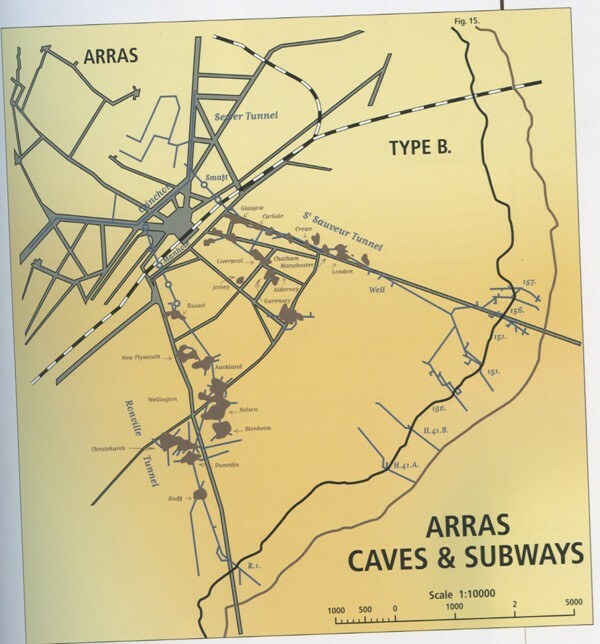 Having passed in and out of the front line in the winter of 1916/17, on April 1st 1917 they began a route march that ended on 12th April with their arrival in the caves of Arras (Map ref J 6). It was a diversionary offensive, agreed somewhat reluctantly by Haig, to take the attention of the Germans away from a French offensive by General Nivelle in the Champagne area. 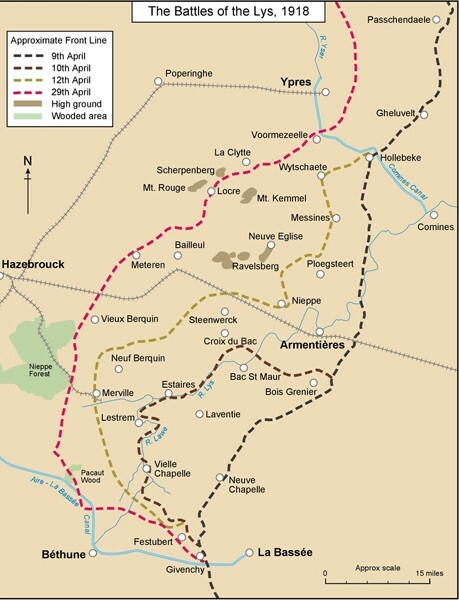 The Arras offensive opened on Easter Day, 9th April and lasted for thirty-nine days. It has been described by many military historians as the most savage infantry battle of the war with daily casualty rates higher than those on the Somme and Passchendaele. 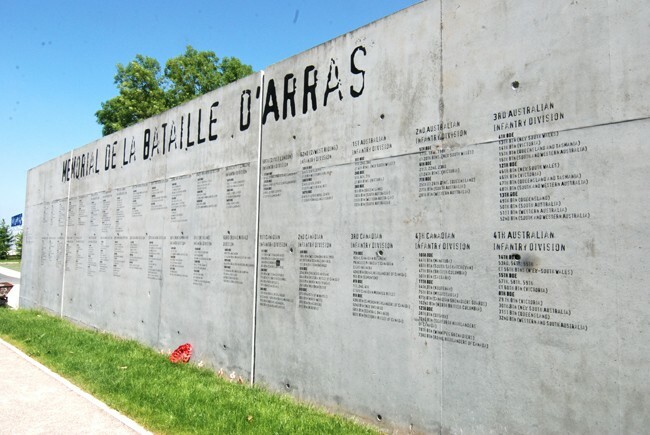 The ancient city of Arras was the staging post and had been handed over to the British in March 1916, so that from then it effectively became a British town with British administration, laws and road signs. By 1917 the town was full of the troops of the British Empire. At the commencement of the Battle of Arras the 5th Battalion Yorkshires were in Divisional Reserve in the RONVILLE caves awaiting their turn. 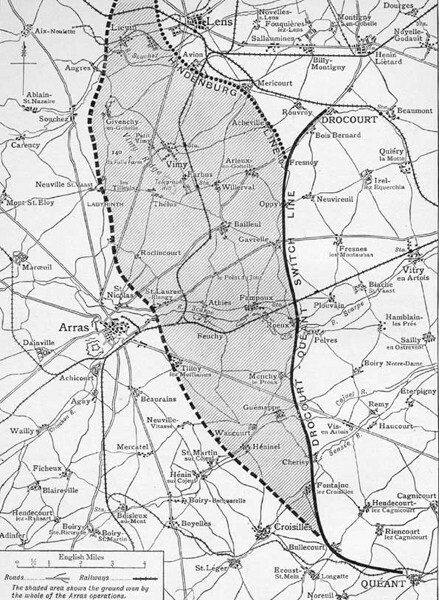 The initial attack from 9th to 14th April was extremely successful, with low casualties, gaining four miles of ground including, most importantly, the high ground south of Arras. Haig was in favour of stopping the action and transferring resources and attention to the Flanders theatre. However, he had to continue the Arras campaign to divert attention from the French attack in Champagne that had been delayed. This was to prove costly to the BEF and to the Maltby boys. 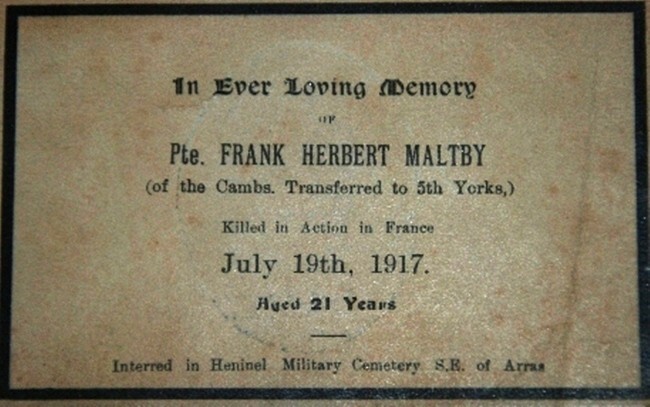 The Arras campaign had removed both the Maltby cousins from active service. For those of the 5th Battalion who had survived, the remainder of 1917 was spent in and out of the front line trenches, in training and on working parties with the Royal Engineers. 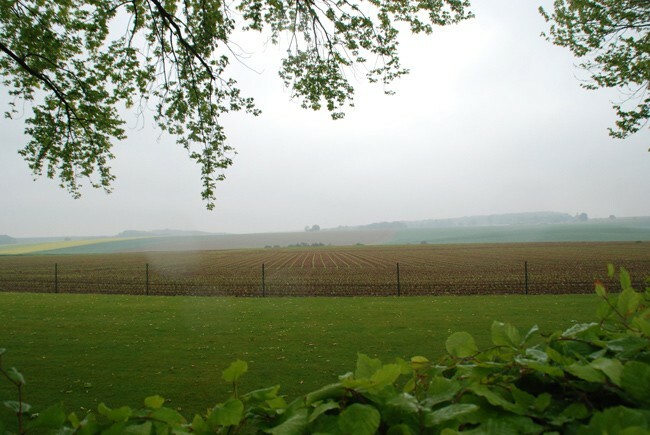 In mid October the Battalion was sent back to Flanders, firstly to Brandhoek ( Map ref J 2) and finally to Ypres. ( Map ref K 2). According to the LONG LONG TRAIL website 64% of wounded men returned to duty although normally to another fighting unit because their place in their old unit had been filled by a replacement. It is probable that Samuel R.D. Maltby 242471 returned to the 5th battalion in early 1918 having been discharged from hospital to base camp at Etaples in December 1917. He had been away from active service for eight months. He was unusual in that he returned to the same unit, A Company 5th Battalion Yorkshire Regiment back to the occupation of trenches in the Ypres salient the most dangerous place on the western front. 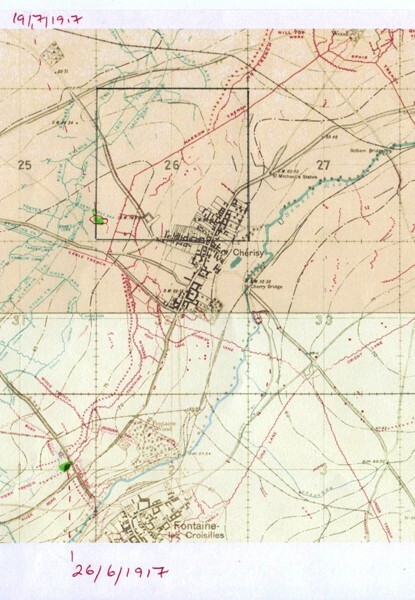 The 5th Battalion war diary tells us that at the end of February 1918 the Battalion was moved to Setgues NW of St Omer (Map ref G 3) for training, until on 9th March they were sent to Boves SE of Amiens ( Map ref H 8) again for training. 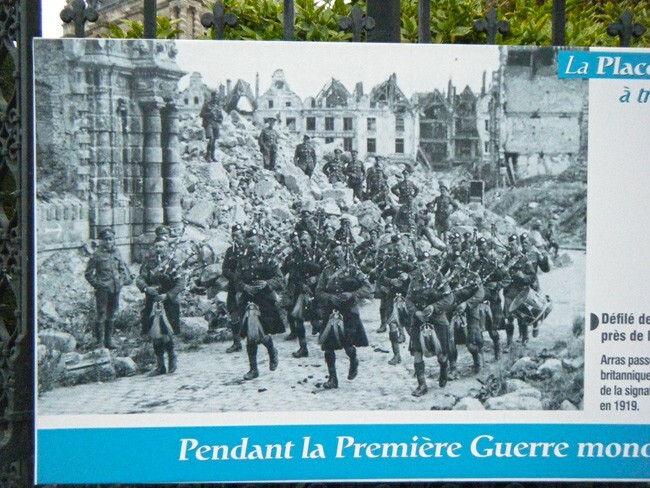 The 50th Division was ordered east of Amiens to meet this German attack. 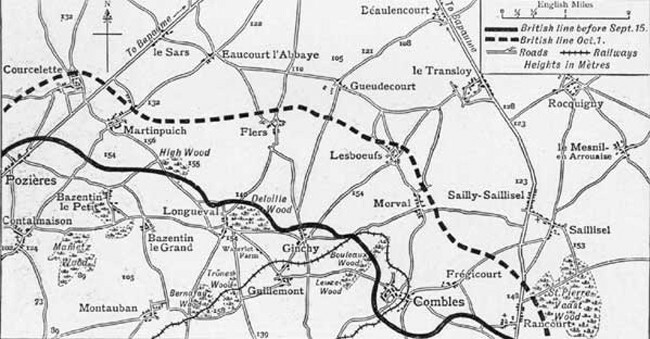 The 5th Battalion war diary provides a detailed description of how the Battalion fought a rearguard action from 21st to 31st March resulting in a nine mile withdrawal from Hancourt (Map ref L 8) to Domart S.E. 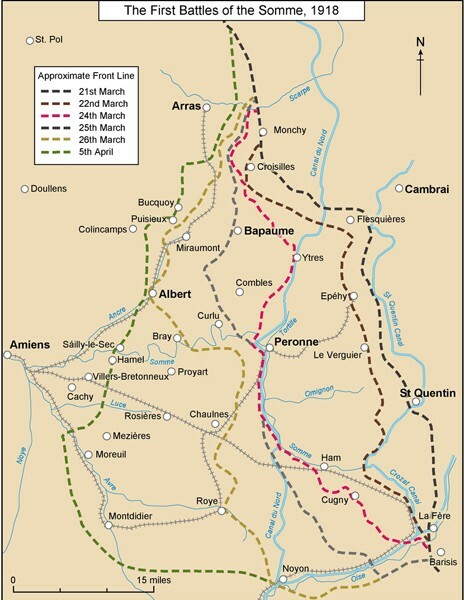 of Amiens (Map ref H 9). The retreat of the 5th Army is well documented in Peter Hart’s fantastically detailed book “1918 A VERY BRITISH VICTORY”. The March defensive operations cost the 5th Battalion 372 casualties, including its commanding officer Lt .Col. Thomson who was wounded but still kept to his post. The regimental history by Wylly provides a graphic description of the Battalion’s involvement in trying to stem the hordes of German storm troopers. The 4th and 5th Battalions lost so many men and the whole thing became so chaotic that Battalion identities got lost such that groups of stragglers were grouped together to form the 150th Brigade Composite Battalion. The 50th Division history points out that at the beginning of 1918 the BEF was exhausted, having had to take the brunt of the 1917 battles culminating in Passchendaele. The transfer of the German troops from the Eastern Front, with the collapse of Imperial Russia, gave the German High Command the resources to launch a series of blows against the British. The BEF had wind of this and had attempted to construct a new, in-depth defensive system that needed large numbers of the infantry to be engaged in working parties. This meant fewer men engaged in training in new battle tactics. With a lack of in-depth reserves, partly caused by Lloyd George’s refusal to release home based reserves, the British army was way below strength. “The march from Brie to the Green line was a weary business for already everyone was tired. 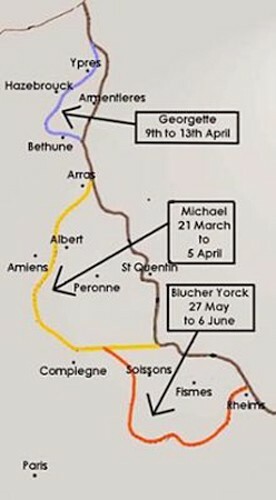 Although the St Michael offensive had failed, the German High Command still thought that they could smash through the BEF in Flanders and gain control of the channel ports. The 50th Division regrouped but did not have time to get its breath back before the next blow. On 9th April they were moved to the North of Bethune (Map ref I 4 ). Miraculously some did get away including Samuel Maltby who, given the circumstances, was leading a charmed life. 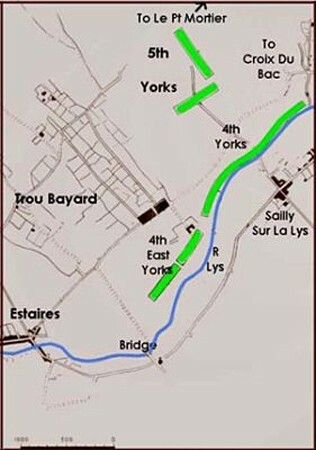 The remnants of the 4th and 5th Battalions went to Doulieu (Map ref J 3) and formed a composite battalion under Lt. Col. Thomson of 5th Battalion Green Howards. The 50th Division had taken another pounding and was relieved on 16th April. 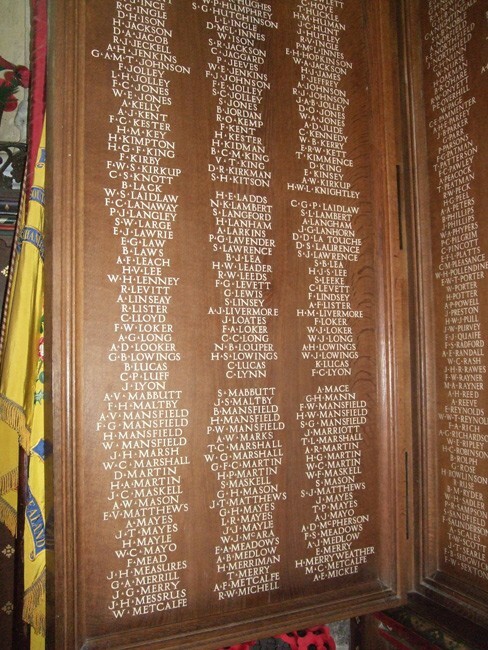 As the Regiment History tells us the 5th Battalion had sustained 698 casualties between 22nd March and 12th April. 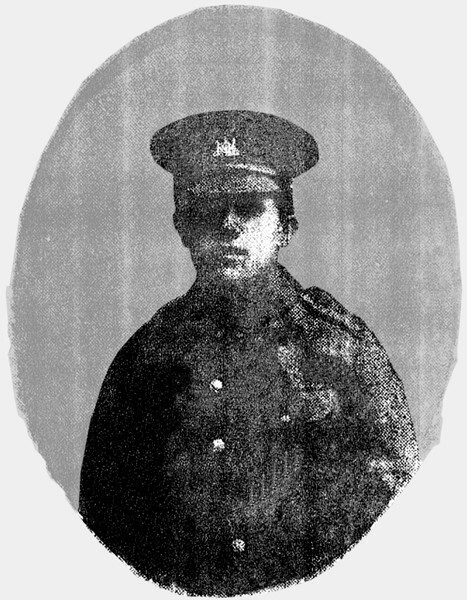 The Division had been decimated again and new young recruits joined the ‘old guard’- one of whom was Samuel Maltby, aged only 24, who, having survived the two German offensives might have thought that his life was protected given the very high casualties experienced in his 5th Battalion. How wrong he would have been if he had imagined that the worst was over. The peace of this ‘quiet zone’ was shattered on 27th May at 1.00 am with an almighty barrage followed at 4.30 am by an infantry attack. The record also tells us that he was repatriated on 19th December 1918 having managed to find his own way home and was then posted to the regimental depot on 21st December. Ironically PoW s came home more quickly than some of the fighting soldiers who had to wait for the slow process of demobilization. The chances of finding out where Samuel was a PoW will be enhanced in 2014 when the ICRC records in Geneva are digitalized. For now we can only assume that he spent seven months of hardship in one of the 167 PoW camps inside Germany. By 1918 there were 175000 other ranks imprisoned, almost 50% of whom had been captured between 21st March and 11th November 1918. With massive food shortages in Germany and riots in the streets, it is not surprising that PoW s were underfed. 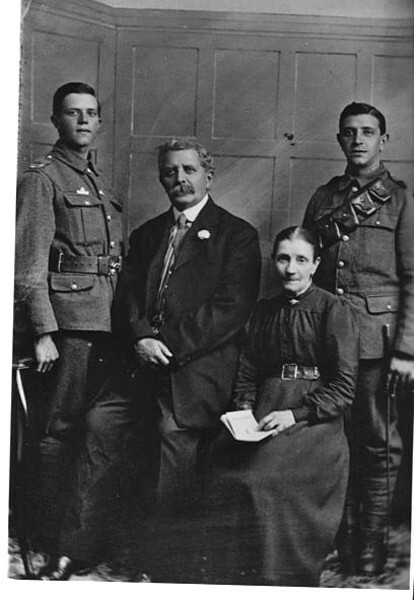 When Samuel entered the army his medical record of 16th February1914 recorded him as being 20 years 8 months old, 5ft 5 1/4 ins tall, with a chest of 34 inches and fair physical development. When he was repatriated in December 1918 one can imagine that after four years of army rations and seven months of prison food he was not an A1 physical specimen. As a returned prisoner Samuel was entitled to two months leave from the army. The process of demobilizing the vast number of serving troops was intentionally slow to prevent mass unemployment. Samuel was one of the lucky ones because his previous employer, the Cambridge Brick Company, offered him his old job. Thus Samuel was released to employment on 19th January1919, having relinquished one month of his leave entitlement. However, the Army bureaucracy was slow so that he did not receive his demobilization certificate until 15th February 1919 when he, like many others, was transferred to the army reserve. For whatever reason Samuel applied for a disability pension but, in May 1920 this was rejected. The final document in his service record is dated October 1921 when, together with the millions who served in the war, Samuel received his Victory and British war medals. 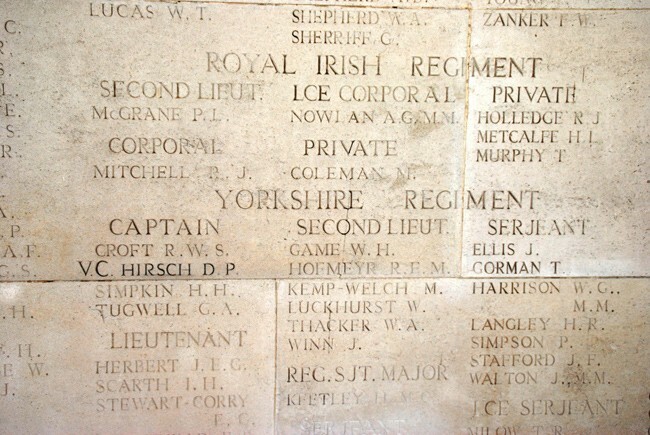 The Medal Roll for the Yorkshire Regiment sheet 322 shows Samuel 242471 and his Cousin Frank 242470 together with ten other former Cambridge Regiment men who had served and in some cases died with the 5th Battalion Yorkshire regiment. So Samuel Richard David Maltby who for 2 1/2 years had served as Private 242471, A Company, no 2 Platoon, 5th Battalion Yorkshire Regiment, the Green Howards returned to civvy street, the brick company and his wife living in Selwyn Terrace, Barton Road, Cambridge. All I know is that he died aged seventy in 1964 still living in Cambridge. Did he have children? Did he retain any links with his old service pals? Was he in the Territorials in the 1920s? Did he go to see his cousin Frank’s family? Did he suffer from any post war after affects? I do know from my grandfather that their mother Sarah never really recovered from Frank’s death and would never take part in Remembrance Day. Altogether these are a magnificent tribute to a twenty-one year old butcher’s boy from Cambridge who paid the ultimate sacrifice and who is remembered by his distant relatives with pride. 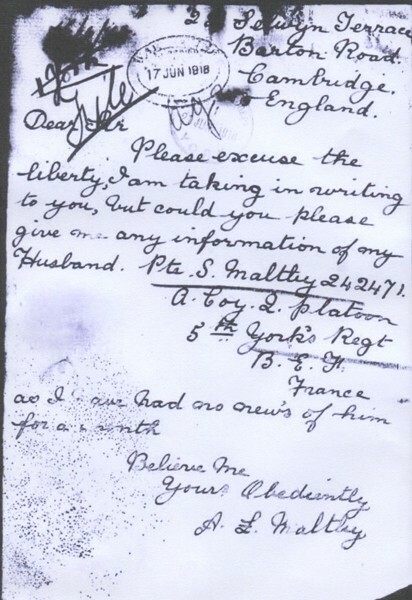 Samuel R D Maltby was taken prisoner at Craonne in the Aisne, along with thousands of other BEF troops, on 27th May 1918. His records cannot be found amongst the 500000 held by the ICRC in Geneva. 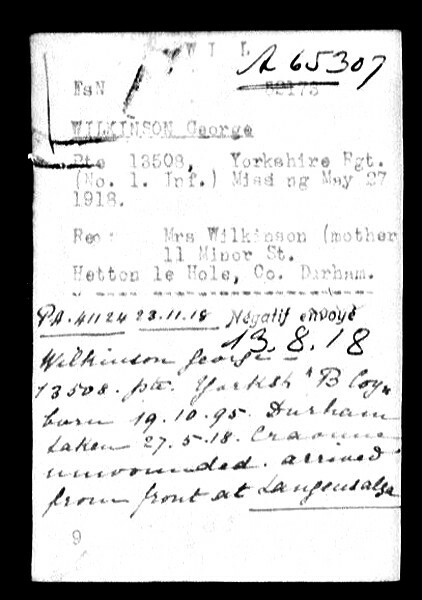 Another man, George Wilkinson, who was also in the 5th Bn Yorkshires, was captured on the same day in Craonne. He was listed and sent to a camp at LANGENSALZA in the middle of Germany. Langensalza Camp in Thuringia Germany was opened in 1914 and accommodated 10,000 men. 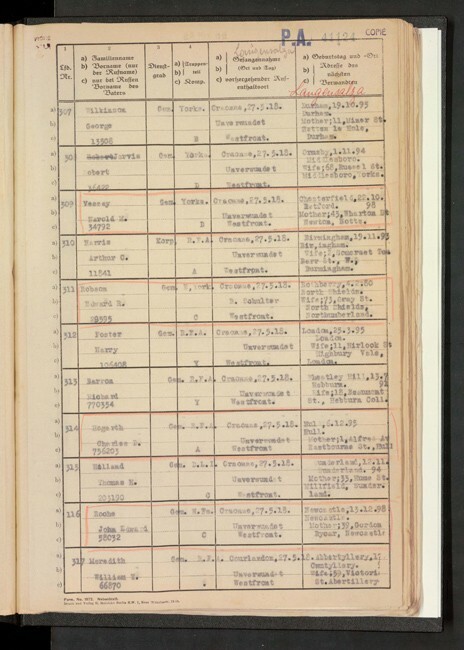 The German camp records, now available online from the ICRC website, show that many men from the 5th Bn Yorkshires were sent to Langensalza. So it might be that Samuel Maltby was one of them, although it is a mystery as to why his name is missing from the comprehensive records. The subject of POWs in WW1 has not been well researched, although I can recommend the book by John Lewis-Stempel 'THE WAR BEHIND THE WIRE'. The following is taken from a detailed WIKIPEDIA article on WW1 prisoners in Germany. It gives some light as to the operations and conditions of the camps. The situation of World War I prisoners of war in Germany is an aspect of the conflict little covered by historical research. However, the number of soldiers imprisoned reached a little over seven million for all the belligerents, of whom around 2,400,000 were held in Germany. Before 1915, conditions of detention in Germany were very harsh and marked by temporary lodging and the absence of infrastructure. The prisoners slept in hangars or tents, where they dug holes to keep warm. The German authorities also commandeered schools, barns and various other types of shelters. Camps were established in the countryside as well as near the towns, which had consequences when epidemics of cholera or typhus threatened to spread to the civilian population. 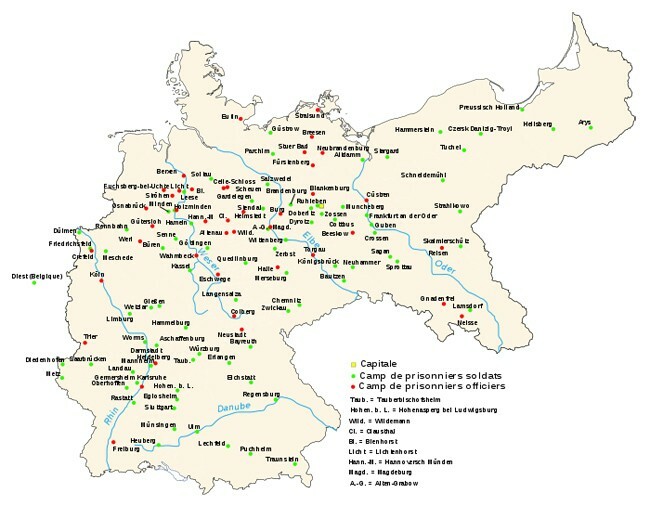 Not all the camps were situated on German territory; a certain number were built in occupied territories, notably in northern and eastern France. They began to be developed starting in 1915 when the number of prisoners being held captive in Germany reached 652,000. The camps mixed a large number of nationalities sharing the same quarters: French, Russian, British, American, Canadian, Australian, New Zealanders, Belgian, Italian, Romanian, Serbian, Montenegrin, Portuguese and Japanese prisoners were found there. The number of prisoners rose very quickly. From February to August 1915, it went from 652,000 to 1,045,232. In August 1916, it reached 1,625,000, jumping to 2,415,000 by October 1918. These were the basic camps, made up of wooden barracks 10 m wide and 50 m long, covered with tar on the outside. Each of these barracks kept around 250 prisoners. On the inside, a central corridor provided access on each side to straw or sawdust beds stacked two high. Furniture was kept to a minimum: a table, chairs or benches and a stove. Camps also featured barracks for guards, a Kantine (cafeteria) where prisoners could sometimes buy little objects and additional food, a barrack for packages, a guardhouse and kitchens. Each camp had its own particular structures, notably sanitary facilities or cultural places like a library, a theatre hall or a worship space. All around the camp, there was barbed wire three metres high. As many prisoners were put to work, they might in fact spend longer or shorter periods of time away from their parent camp: those engaged in agriculture, for example, might be housed in village assembly halls. According to the Second Hague Convention, “The Government into whose hands prisoners of war have fallen is charged with their maintenance. In the absence of a special agreement between the belligerents, prisoners of war shall be treated as regards board, lodging, and clothing on the same footing as the troops of the Government who captured them." Nevertheless, prisoners frequently suffered from hunger. As a general rule, breakfast was served between 6:00 and 7:30 am, lunch around 11:00 am and dinner at about 6:30 pm. [ From the start of their captivity, the food posed a problem for prisoners, who complained of a diet that was too inconsistent to ward off hunger. Soup became the symbol of this regime: it might be made with beans, oats, prunes, beets, codfish. Bread was replaced by “KK bread” (from the German “Kleie und Kartoffeln”: bran and potatoes), the ingredients of which remain unclear. Malnutrition became a daily affair for the prisoner; after the war, many suffered serious digestive problems and adapted with difficulty to a new dietary regime. The Allied blockade of Germany played a role in this: from 6 November 1914, Germany was subjected to an economic blockade by the Entente nations. The military administration responsible for supplying the camps had much difficulty in feeding the troops, considered a priority, which partly explains the catastrophic state of supplies in the camps. Prisoners were not the only ones to suffer from the situation; the general population was also affected. According to official directives concerning nourishment issued at the beginning of 1916, each week the prisoner was to have 600-1,000g of potatoes, 200-300g of vegetables at lunch, meat three times, fish twice and 150g of legumes. The reality could be far from what these menus prescribed. Not only was the food insufficient, it was often quite detrimental to health: “The other day I saw, in our kitchens, quarters of refrigerated beef of which the smell and greenish tint were so pronounced that our cooks refused to prepare them. The German head doctor, called to arbitrate, ordered them soaked in a solution of permanganate and, the day after the morrow, this meat, thus disinfected, decorated the ordinary one”. The food served in the camps, often the cause of illness, weakened the prisoners more than it kept them in shape. Only parcels and shipments from charitable bodies including the Central Prisoners of War Committee (in Britain), the Vetement du Prisonnier (in France), and the Red Cross, allowed them to hang on. By the end of the war, some 9,000,000 food parcels and 800,000 clothing parcels had been despatched to British prisoners abroad. Prisoners’ families were also able to send food and other luxuries (although there were restrictions on what these parcels could contain). British prisoners, in particular, received parcels regularly and in abundance: French prisoners received far fewer, and Italians and Russians virtually none. As the blockade increasingly affected the Germans, and as the system of food parcels became established, prisoners – especially the British, and especially officers – were sometimes better fed than the military personnel guarding them and the local civilian population. This naturally prompted resentment among the Germans. From the beginning, questions of hygiene posed a problem in the camps, built in haste. The goal was to quickly build a maximum number of installations. Camps in Germany featured only a simple tap in the yard for thousands of people. Very often, latrines consisted of a simple board with a hole in the middle above a pit, which the prisoners were tasked with emptying at regular intervals. Diseases such as typhus or cholera appeared very fast. The close confinement of the accommodations and the number of prisoners per barrack, on average 250, partly explains the phenomenon, as the foul air circulated very little. An official policy of integration of different nationalities mean that typhus tended to spread rapidly from Russian troops, among whom it was endemic, to the French and British who had little immunity to it. The fight against lice was at the centre of measures to be taken by using hair-removing creams and disinfecting rooms. Vaccines were also ordered, and a vaccination frenzy ensued. Cemeteries for deceased prisoners were gradually opened near the camps. 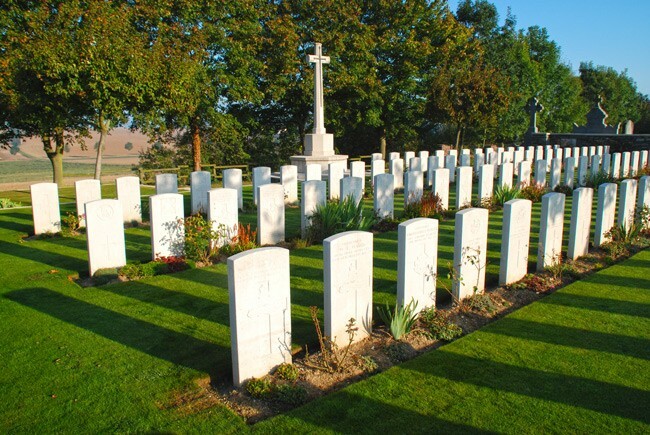 It was a point of honour for the survivors to take care of their comrades’ final resting places. Most often, each nationality had its own reserved patch. It is estimated that 120000 prisoners died in German prison camps “The State may utilise the labour of prisoners of war according to their rank and aptitude, officers excepted. The tasks shall not be excessive and shall have no connection with the operations of the war." A huge number of prisoners were used to work for the German Reich. Of 1,450,000 prisoners, 750,000 were employed in agricultural labour and 330,000 in industry. As able-bodied men were at the front, the lack of manpower was felt in all European belligerents and especially in Germany. The armaments industry, agriculture and mines were the three branches concerned. Prisoners of war represented an indispensable segment of the workforce. This is strikingly apparent, for instance, with regard to farm labour. While prisoners’ labour was voluntary at the beginning, it very quickly became mandatory, organised into kommandos. The Ministry of War even set daily work quotas. [ Work in mines and swamps was dreaded as particularly painful; most of the time, agricultural work allowed for slightly better detention conditions. Food was also better than in the camps. Work was fixed at ten hours daily and guard surveillance was reduced (which allowed some prisoners to escape more easily). Although prisoners were forced to work, some refused, which led to severe penalties, going up to prison terms of a year. Cases of “sabotage” were also reported, principally in factories, but also on farms.However, the attitude most often adopted (and also the safest) was to work as little as possible. Since their labour was forced, the detainees did not expend all their effort on the enemy. One clause of the 11 November 1918 Armistice dealt with the matter of prisoner-of-war repatriation: "The immediate repatriation without reciprocity, according to detailed conditions which shall be fixed, of all allied and United States prisoners of war, including persons under trial or convicted. The allied powers and the United States shall be able to dispose of them as they wish". By 10 October 1918, 1,434,529 Russians had been made prisoner since the start of the war, as had 535,411 Frenchmen, 185,329 Britons, 147,986 Romanians, 133,287 Italians, 46,019 Belgians, 28,746 Serbs, 7,457 Portuguese, and 2,457 Americans. Of the non-Russians, some 576,000 had been repatriated by the end of December 1918, and all by the beginning of February 1919. The British and American prisoners were speedily repatriated as there were fewer to deal with: some 185,000 Britons and 2,450 Americans, compared to the over half-million France had. The first British ex-captives reached Calais on 15 November, slated to be taken to Dover via Dunkirk. Repatriated prisoners were welcomed with various sorts of demonstrations, especially if they returned before the war ended (for instance those interned in Switzerland). 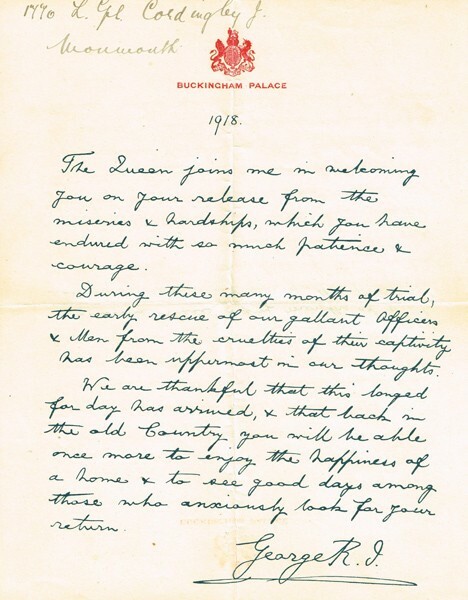 British prisoners received a message in the hand of King George V welcoming them home. So it was that Samuel Maltby returned from being a POW in December 1918 one of the lucky ones to have survived.